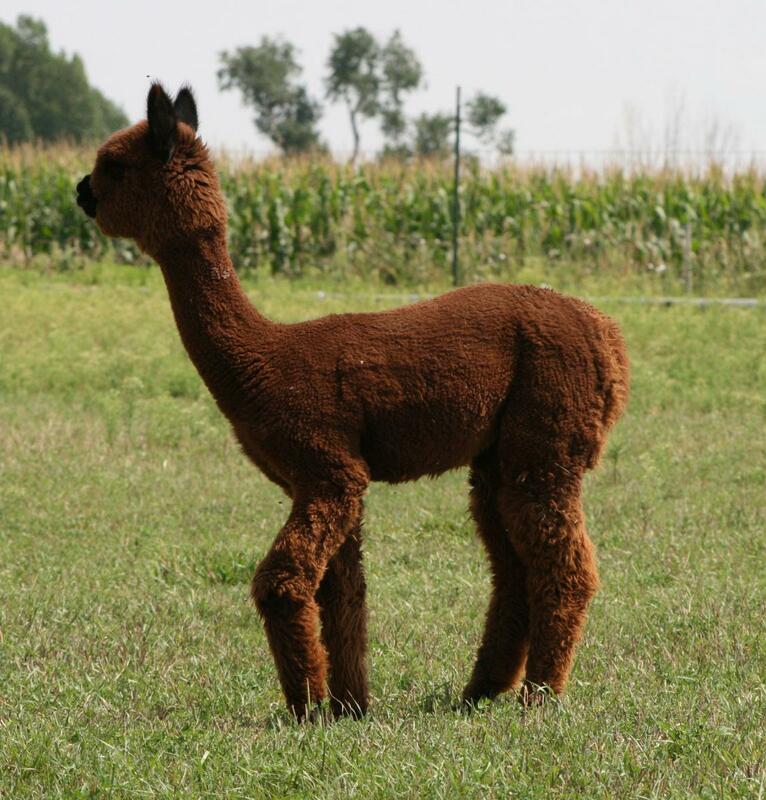 Amanda also has a very sweet disposition along with a solid pedigree that combines the best of the Accoyo and Allianza genetics. 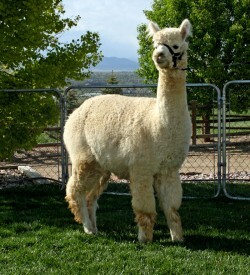 to be imported from Peru. 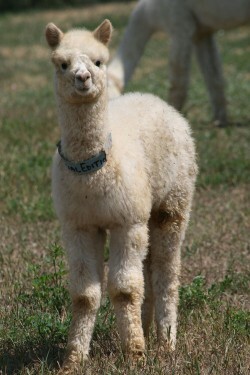 She is put together well with a beautiful head and proportions. 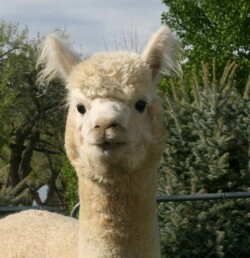 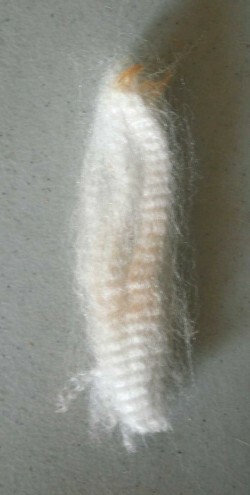 Her fleece has an extremely soft handle with a high frequency crimp and micro bundles that are a sign of high density. 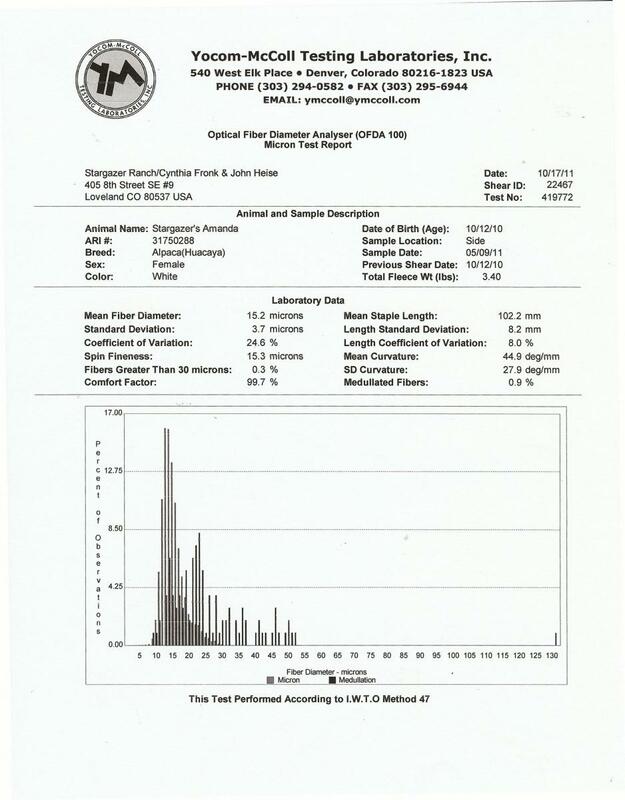 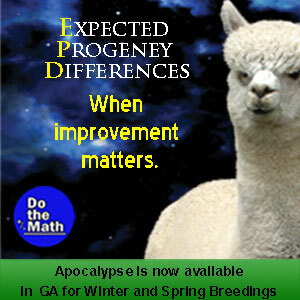 Her EPD’s back up what she displays phenotypically and ranks among the top 3%-30% in all traits. 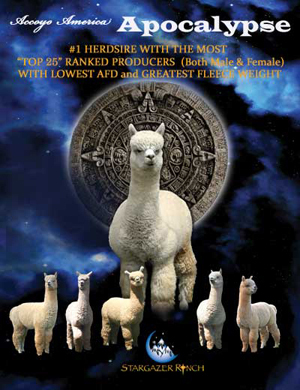 She improves fleece quality across the board while delivering a great improvement in density. 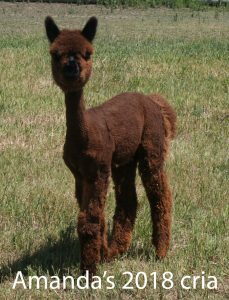 Amanda is being sold with her medium brown, female cria at side sired by Stargazer’s Anatres, who brings in another impressive pedigree and fleece quality with color. 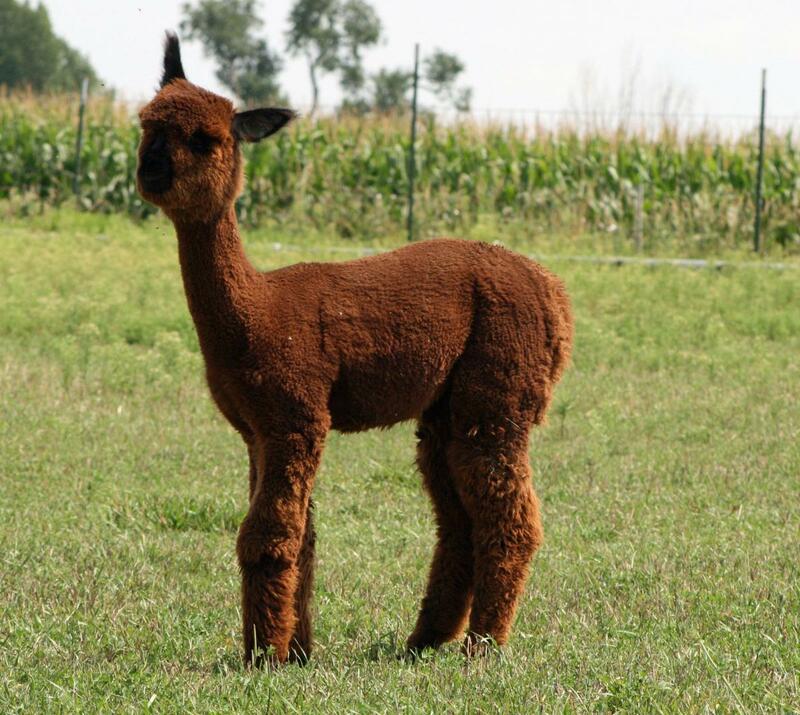 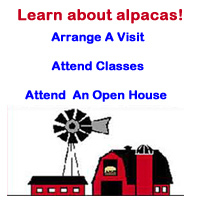 The combination will produce an offspring that you will want to show off in the show ring and provide a lifetime of superior offspring.She is bred back to Antares for another beautiful cria. 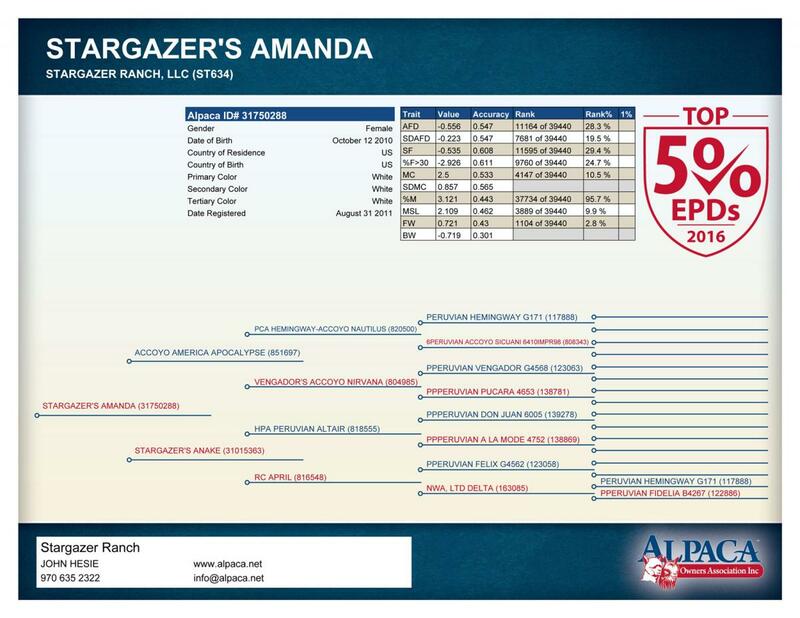 Please feel free to email us for a current and complete price list of our herd reduction sale. 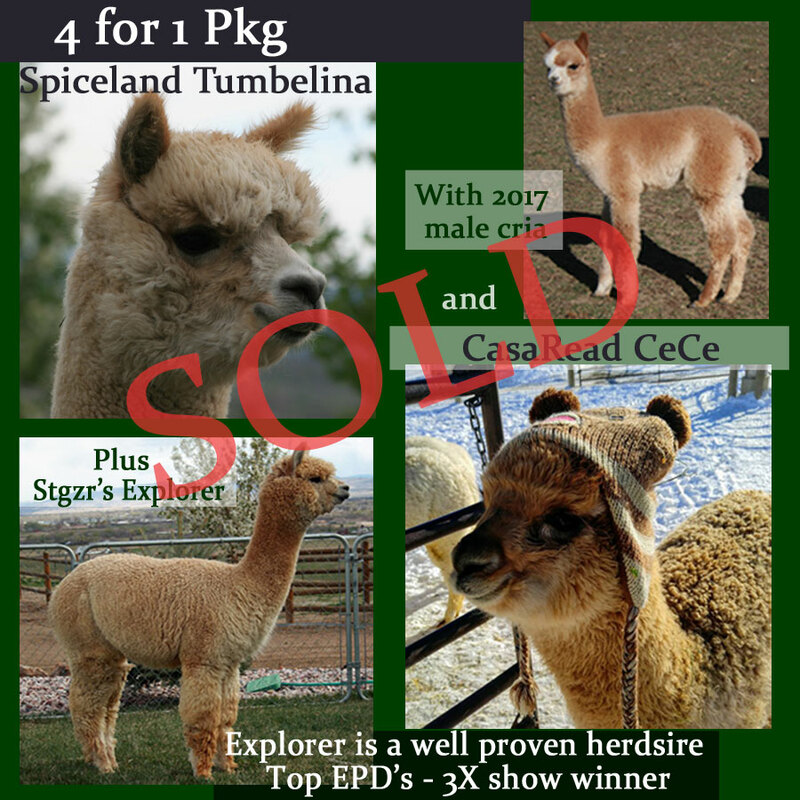 To keep our reduction efforts on track, we are continually adding animals to the sales list.